Heron Lodge is nestled in a quiet corner of the site overlooking our main fishing lake. It has the more Southerly veranda and so has sunshine at the front of the lodge (where the table and chairs are) from late morning to evening. Heron Lodge backs into the trees so the bedrooms are a little darker than the others, but as it sits at the top of the lake it enjoys views of the whole site. It is a good choice if you are coming here for fishing. It offers a peaceful and relaxing environment for those wishing to take advantage of the tranquil surroundings. Private, secluded hot tub to seat 6 persons. Large, decked patio area with outdoor dining table. 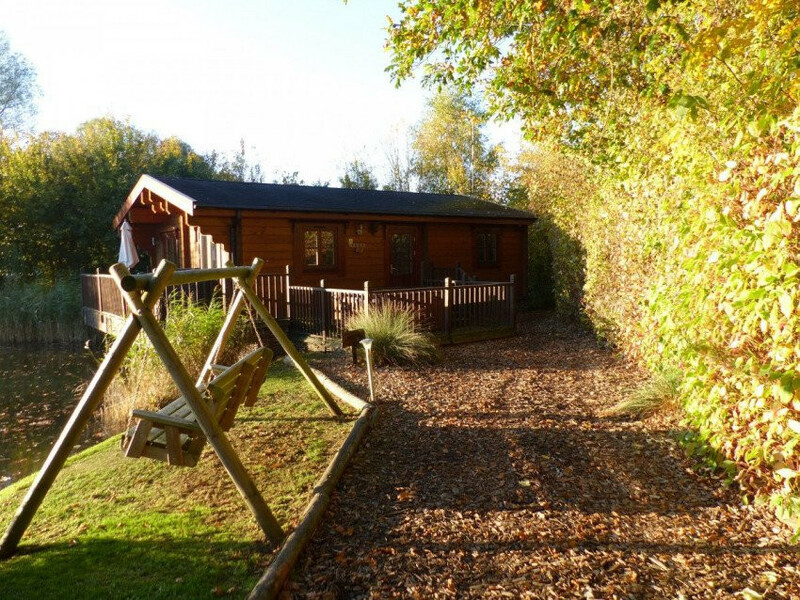 Heron Lodge has everything you could possibly want from your own private log cabin. It has achieved a 4 star rating from Visit England and has been awarded their prestigious Gold Award in recognition of exceptional quality. Please select the day you wish to arrive from the calendar on the right to view prices or book.